PPF files are often released to fix errors found from the disc after the initial release. With .ppf files, the author doesn't have to distribute a new, full version of the disc image file, but instead, can distribute only a relatively small .ppf patch file to fix the problems. 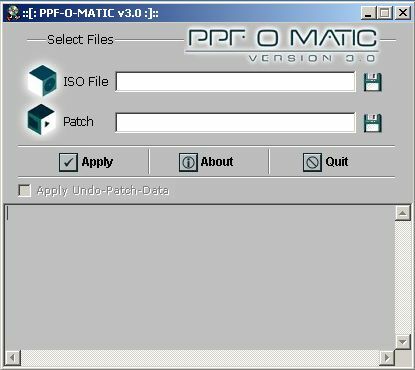 PPF-O-Matic can also "undo" the patch, if needed. This is a great software to insert activation code before burning install .iso disks. Recommended!